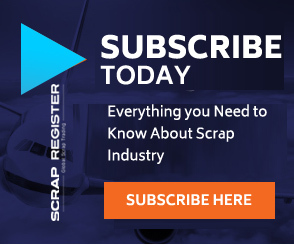 NEW YORK (Scrap Register): United States scrap gold prices advanced on the Scrap Register Price Index as on Monday, while gold futures prices at New York Mercantile Exchange settled down as traders looked ahead to the outcome of the Federal Reserve’s meeting later this week. The major gold scrap commodities prices including 9ct hallmarked gold scrap, 14ct hallmarked gold scrap, 18ct hallmarked gold scrap, 22ct hallmarked gold scrap, 9ct hallmarked gold scrap, 14ct hallmarked gold scrap, 18ct hallmarked gold scrap and 22ct hallmarked gold scrap on the Scrap Register Price Index gained on Monday. The 9ct hallmarked gold scrap, 14ct hallmarked gold scrap, 18ct hallmarked gold scrap and 22ct hallmarked gold scrap prices gained by 0.17 to 474.912 an ounce, 740.863 an ounce, 949.824 an ounce and 1160.052 an ounce respectively. The 9ct non-hallmarked gold scrap, 14ct non-hallmarked gold scrap, 18ct non-hallmarked gold scrap and 22ct non-hallmarked gold scrap prices advanced to 449.208 an ounce, 700.764 ounce, 898.416 an ounce and 1097.265 an ounce respectively. The most active April gold contract on the COMEX division of the New York Mercantile Exchange down by $1.40 settled at $1,301.50 an ounce on Monday, after trading as high as $1,306.70 an ounce.